Natalie Battaglia | Loyola University Chicago Some students who applied for on-campus housing are in limbo as about 200 rising juniors and seniors were placed on a deferred housing list. Loyola has turned to a deferred housing list for the third year in a row as growing first-year classes call for more space on campus — leaving many upperclassmen without on-campus housing options. Loyola’s two-year residency requirement means first-year and second-year students who aren’t commuters have to live on campus. Juniors and seniors are also welcome to apply to live in one of Loyola’s residence halls, but they face the chance of being placed on a deferred housing list. Deferred housing means those rising juniors and seniors won’t be guaranteed a spot in a residence hall, so they can either choose to wait and hope a spot opens up or find an off-campus place. About 200 rising juniors and seniors were placed on the list this year, according to Clair McDonald, assistant director for assignments, marketing and communication for Residence Life. When the list was implemented three years ago, about 300 students were placed on the list. Last year the list had about 250 students on it, The Phoenix reported. Angel Caballero, a sophomore studying neuroscience, said he originally planned on getting an off-campus apartment with friends for his junior year. However, plans fell through when they realized most places around campus would cost about $600 a month in rent per person, not including utilities. According to Zillow.com, a popular real-estate listing website, two bedroom rentals in Rogers Park range from $875 per month to $1,200 per month. So, a student living with a roommate in a two-bedroom apartment in Rogers Park can expect to pay about $450-$600 a month in rent. “I just couldn’t afford to pay for an off-campus apartment, so my plan then shifted to applying for on-campus housing since my [scholarship] mostly covers my room and board,” Caballero said. Caballero was deferred, and he said he suspects it was because he applied later than most upperclassmen hoping for housing on campus. McDonald said juniors and seniors who apply to housing are assigned a random lottery number. The lower the number, the better odds someone has at getting a spot in a residence hall, according to McDonald. In an email sent to deferred students, obtained by The Phoenix, the housing department acknowledged the stress students might feel if they are unsure about their living situation and said they usually have about 150 spots open up. Esther Park, a sophomore studying accounting, was placed on the deferred list and said she wishes Loyola prioritized juniors and seniors and gave them more help with their living plans. “All they said was you’re on the deferred housing list … you can look into other options, we’ll let you know if there is room for you,” Park said. Park is planning on staying on the list and hoping a spot will open up for her at Loyola’s Baumhart Residence Hall at the Water Tower Campus. Otherwise, she’s considering commuting from home. McDonald said the housing department can usually place about 90 percent of the students on the deferred list in housing by the beginning of the fall semester — not including those on the list that drop out of it after finding alternative housing. 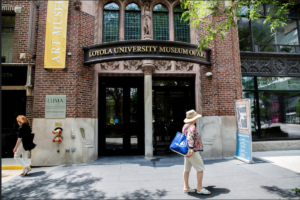 Caballero said he thinks sophomore students with the means to live in an off-campus apartment should be able to opt-out of the housing requirement, opening up spots for juniors and seniors that find it more affordable to live at Loyola. “There are so many wealthy kids here that can afford to get an apartment and actively seek out getting an apartment … I feel like that just takes up spots for people who legitimately cannot afford it,” Caballero said. Although allowing sophomores to live off-campus would open up spots for juniors and seniors, McDonald said residence life enforces the policy developed by the university and she doesn’t see it changing. “As of right now, there’s no intention to change that, we really do believe that living on campus for two years is integral to developing here at Loyola so we want to stick with that,” McDonald said. 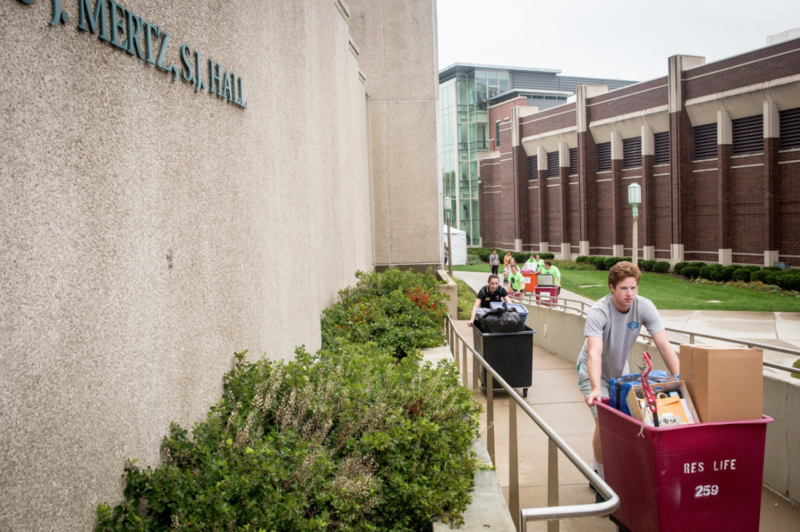 Loyola has made steps to fixing its housing problem for incoming first-years after many were placed in converted triple dorms due to the growing number of accepted students. St. Joseph Residence Hall is currently being constructed on North Winthrop Avenue and will fit about 400 extra beds. The new dorm is intended to be a first-year residence hall, but can also house sophomores in its suite-style dorms, McDonald said, meaning some space might open up for upperclassmen in halls where sophomore students previously would have been placed. Loyola is also in the process of buying St. Joseph College Seminary after it closes to use it for student housing as well.